This week we check out the Tigerstripe Zamtrios! This beastie is fought in the desert. 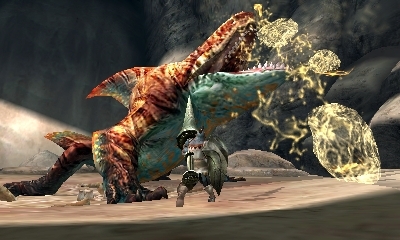 The Tigerstripe Zamtrios is the sandy counterpart to the icy Zamtrios, both of which are new to Monster Hunter 4 Ultimate. It lives in the Dunes, which is 4 Ultimate’s desert map. It has light and dark orange coloured stripes running along its body, giving it its name. It’s weakest to ice and lightning, and its back legs, dorsal fin, back fin and face are all breakable; that last one leaves it with a wicked scar across its face. The Tigerstripe Zamtrios has similar moves to the original one, although it uses them differently. It can inflate itself into a large ball using fluids it secretes from its body, after which is will launch itself into the air and slam into a nearby hunter. This attack is fairly easy to dodge, but failure to do so will result in a huge amount of damage. While in this inflated state, it will attempt to roll over the hunter. It can also open its jaws wide and spit out balls which inflict paralysis on contact; these can also be fired when it’s in its normal state. The other Zamtrios did the same thing with balls of ice, and I found it an effective strategy to stand behind it and attack its back fin, as the balls of ice didn’t go that far behind it. This is not so with the Tigerstripe Zamtrios; its paralysis balls will go all the way around it, so unfortunately this will not work any more. When it’s done being a puff ball, the Tigerstripe Zamtrios will shoot out a beam of water to deflate itself and inflict decent damage. In its regular, deflated state, it can shoot a beam of water from left to right and back again. These attacks will inflict waterblight. 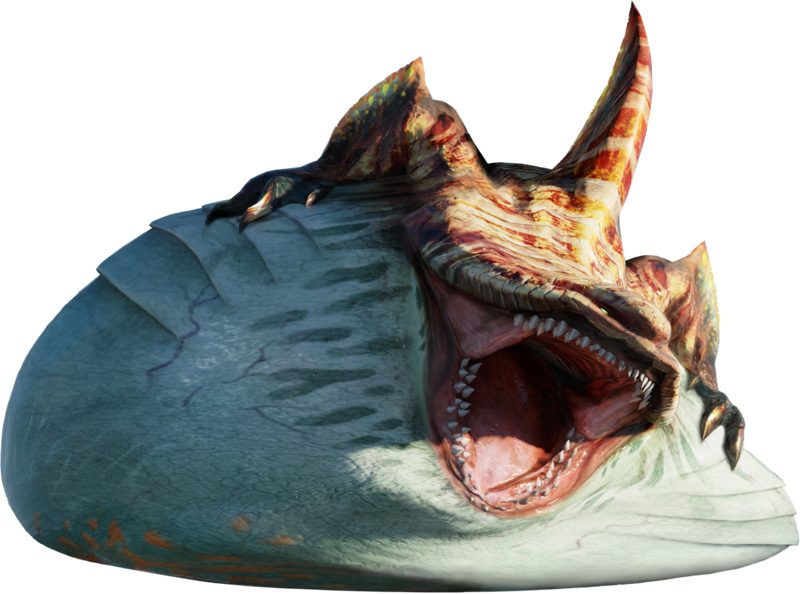 In terms of melee attacks, the Tigerstripe Zamtrios has a lunging bite in which it drags its jaw across the ground to bite the hunter. It can leap across the map to close the gap between it and the hunter, and can also break into a spin to hit anyone who happens to be near it. It may even leap forward and trap the hunter in a pin attack; it’ll inflate itself and toss you around until you manage to escape. 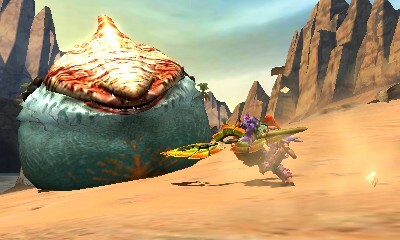 The Tigerstripe Zamtrios is a pretty cool monster, which fights more efficiently than its predecessor. Next week is the Tidal Najarala!